Getting a physical each year is a great way to check in with your doctor and evaluate your health. Oftentimes, getting routine physicals can help your doctor determine which health problems you could be at risk for and can help prevent them before they start. Unfortunately, health care is not always readily available and can be expensive. If you find yourself wondering, “Where is the cheapest place to get a physical in Winston-Salem, NC?”, look no further than FastMed Urgent Care. What Will My Physical Exam Consist Of? Where is the cheapest place to get a physical in Winston-Salem, NC? FastMed Urgent Care accepts most insurance plans and most major credit cards. We also offer discount programs for qualifying patients. 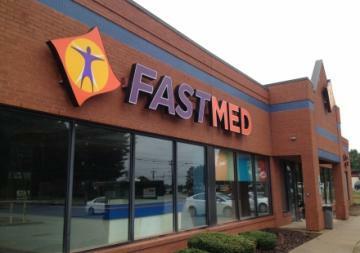 Whether you need a physical, flu shot, or injury treatment, FastMed is there for you every day of the year.